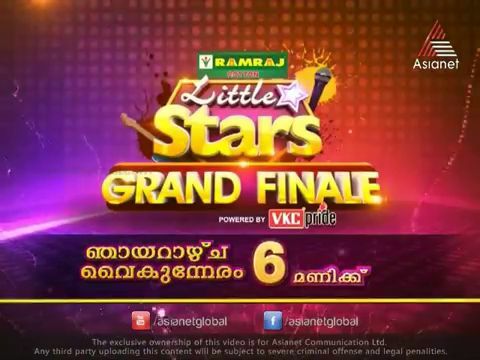 Don’t Miss The grand Finale Of Little Stars On Asianet, Sunday 30th March 2014 at 6.00 P.M. Malayalam Channel Asianet Telecasting the Final Of The Reality Show This weekend. Nila Noushad, Theertha Roshan , Abirami , Nayan Krishna, Navani Devanand are Finalists Of This Reality Show. Grand Finale is Showing This Sunday at 6.00 P.M. This Show It involves kids below the age of 15 with mutli-talents. Rajesh Hebbar Is Hosting this Show. Vijay Yesudas, Vineeth and Nadirshah are The Judges. Another Reality Show Final is Showing On the Same Day. Comedy Express Reality Show Grand Finale is Telecasting on 30th March 2014 at 7.30 P.M.
After a long gap this post become popular because of the name Navani Devanand, she recenlty appeared in a movie name Mikhael. She played the sister role of Nivin pauly in the film, it;s one of the major role of the film. she did a good job, she is one of the winner of this reality show. What is her (Navani Devanand) connection with Dev Anand?